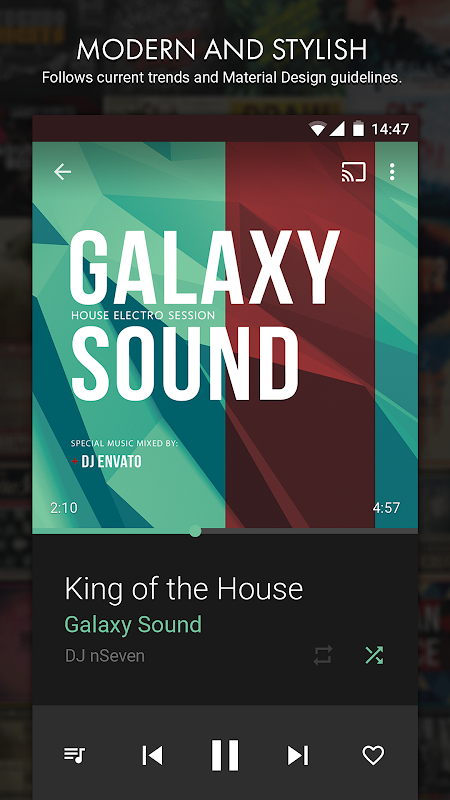  Music player with one of a kind design and powerful equalizer. 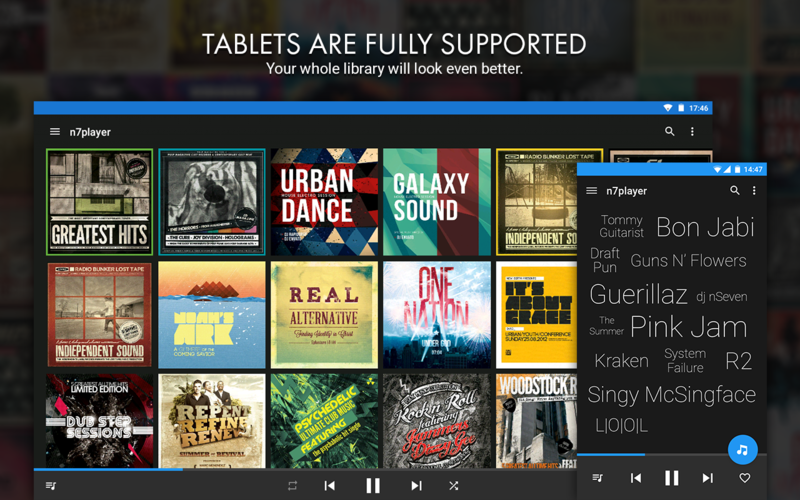 N7player is an audio player that allows you to easily browse and listen to your favourite music on your phone or tablet. 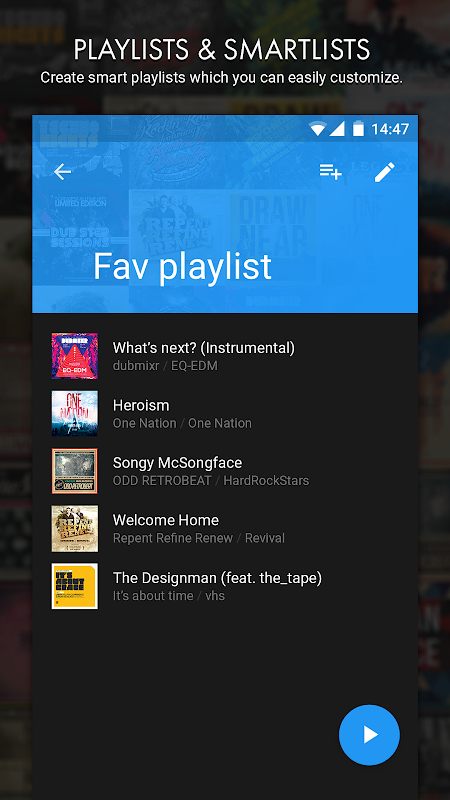 This feature-rich app includes a user-friendly interface perfect for you to create incredible music playlists. 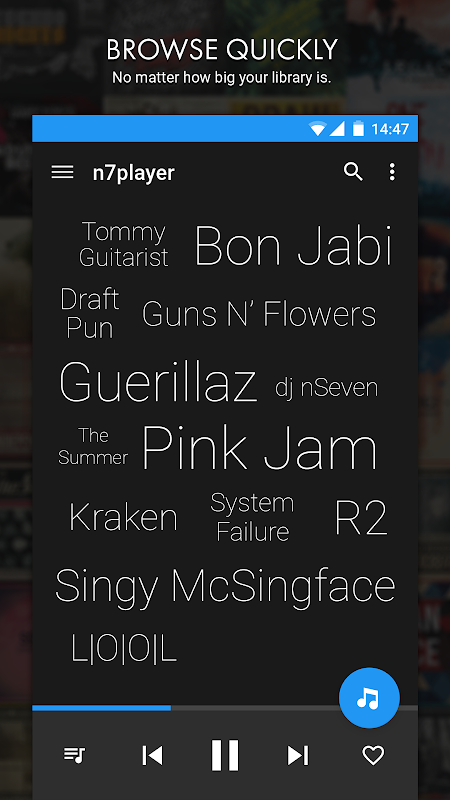 Download N7player music player and gain access to an extended music library complete with all your favourite artists! All you need to do is search for the album you’re looking for, pinch to see the cover and tap to play the song! 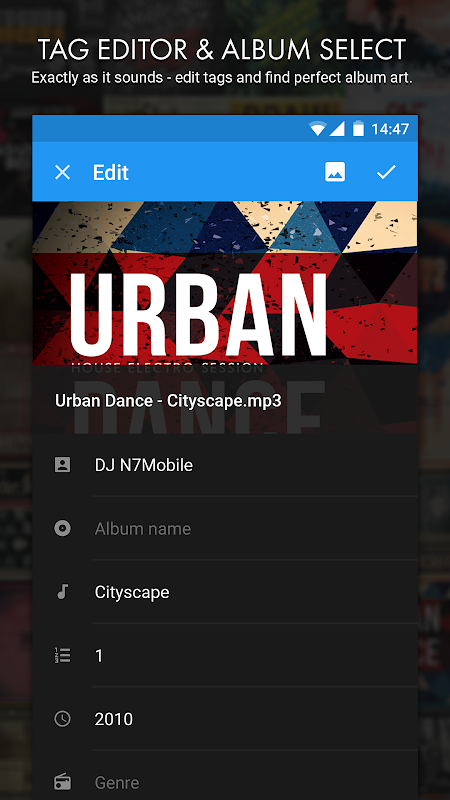 N7player music player also includes other amazing features such as powerful equalizers, amazing art downloader and a detailed music catalogue. 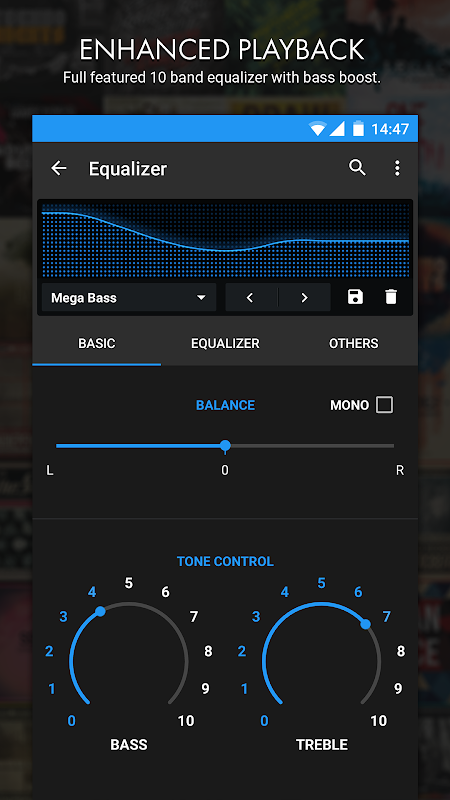 Choose to tune the bass and treble to your liking, allow volume normalization, adjust the channel balance and select between a variety of different skins to alter the style and colours of your music player – all so that you can have the sound and look you always wanted in a music player! Download this fresh, simple, user-friendly app and start listening to your favourite songs now! 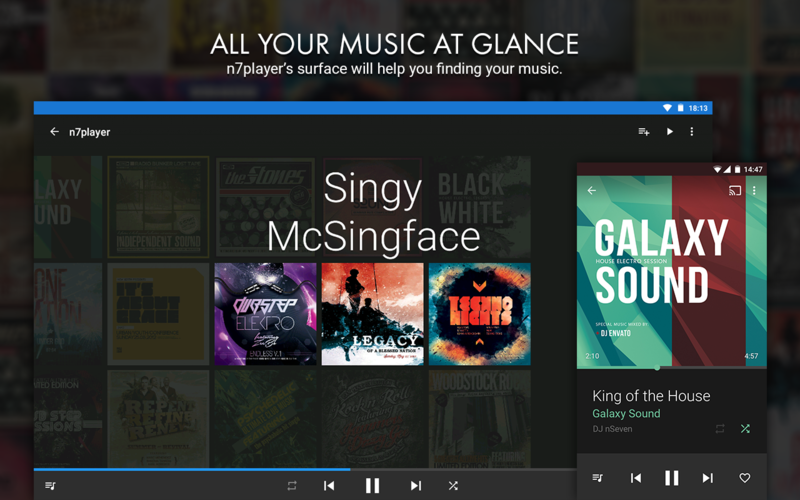  Website: n7player Music Player | N7 Mobile Sp. z o.o.  Is n7player Music Player yours? Claim it!